The hotel’s main restaurant is called Barbarossa and is named after the medieval Barbarossa tower which is located in the historical center of Serravalle Pistoiese it stands out on the hill top in front of the hotel. The main hall can hold up to 150 people in a refined atmosphere located in front of the swimming pool. On the first floor the beautiful Red Rose hall is a multifunctional space that can be transformed from an equipped meeting hall with retractable screen to an elegant space for galas and banquettes. It’s red walls and the sealing’s wooden and copper details, confer a warm but at the same time elegant ambiance, for 150 people. 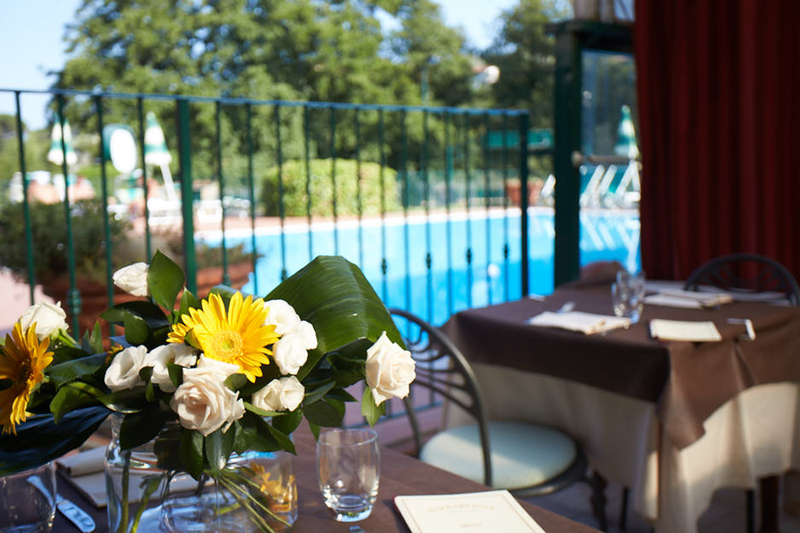 The bright and airy veranda on the pool side offers also a visible barbecue/visible ember (non so se vuol dire un barbecue o solo brace) and an elegant and exotic white draped sealing, making it the perfect area for for a birthday or a graduation party among friends, up to 50 people. 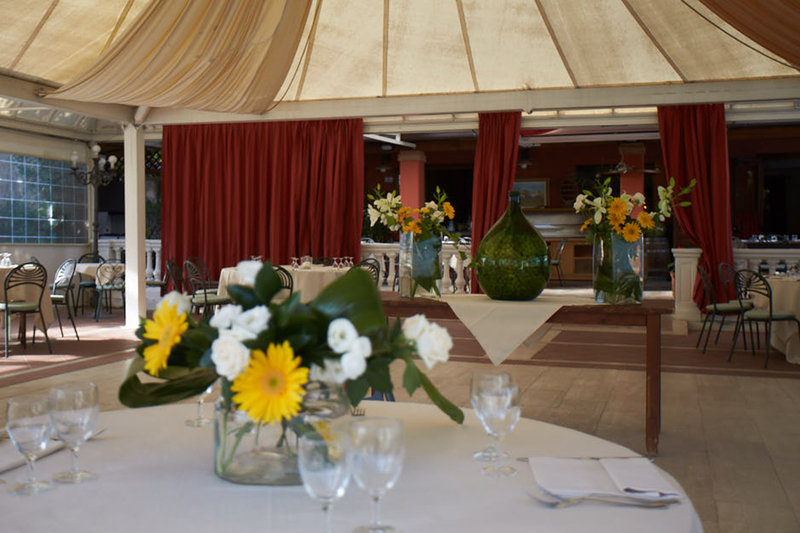 Other areas are located in the main building: a nice and elegant restaurant hall with veranda, with view over the lake, for 70 people, ideal for anniversaries or first communions and a smaller hall with great reproductions of Botero paintings, for 30 people, ideal for work breakfasts. On the pool side and along the lake it is also possible to organize coffee breaks and sun-set aperitifs. 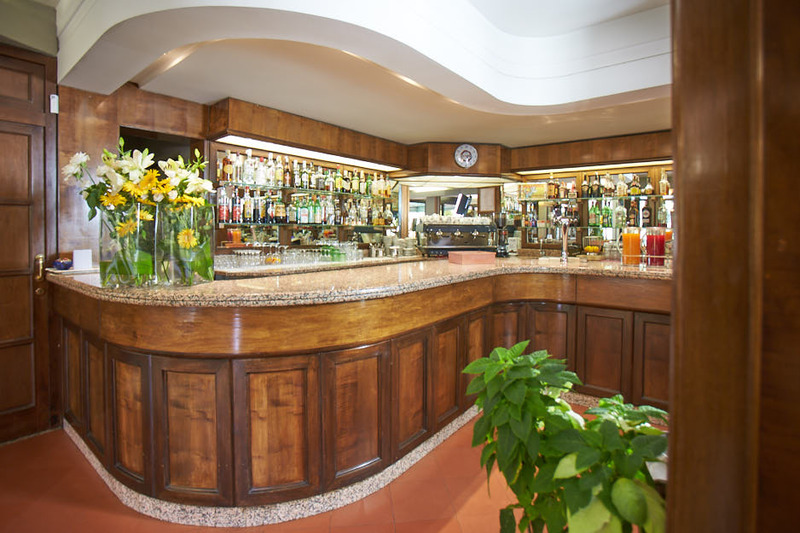 The bar near the reception serves evening aperitifs and after dinner digestive liquors. 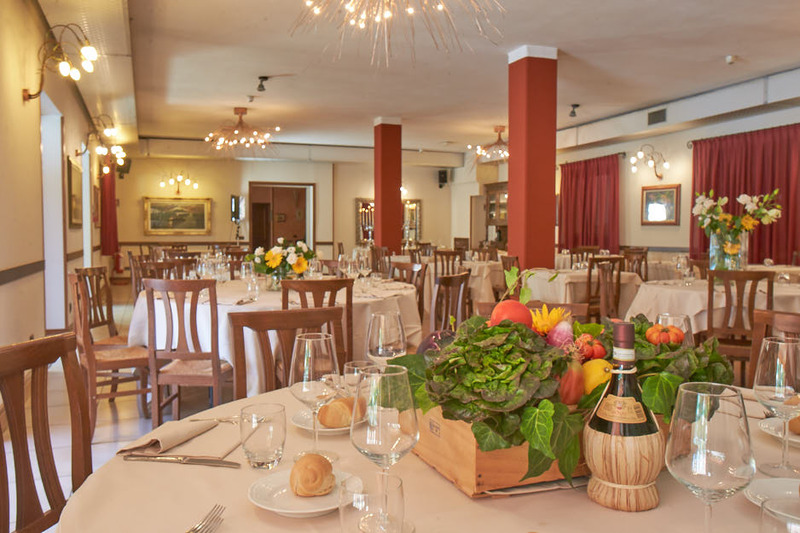 Do you wish to organize a lunch, a dinner and /or an event at Barbarossa Restaurant? Fil in this form in order to receive further information. The authentic cuisine and the best Tuscan wines set in an elegant but family style environment. Our clients’ reviews are our business card. ”We came to this restaurant for our wedding and on the occasion of the 30th anniversary in our parents. 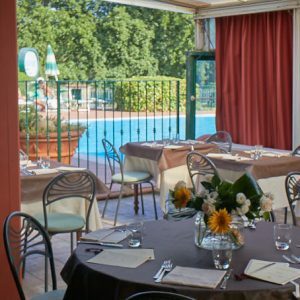 Wonderful place with a view of the lake and the lovely pool, staff very polite and ready to settle in all but above all superb and fresh dishes, generous portions and excellent value for money. We always gladly return here and will continue to do so for special occasions. ”We had dinner here for my daughter made a birthday surprise. They gave us a table in a quiet corner and the staff were very attentive during our visit. We had a great Fiorentina steak which was delicious and the portion sizes were very good. 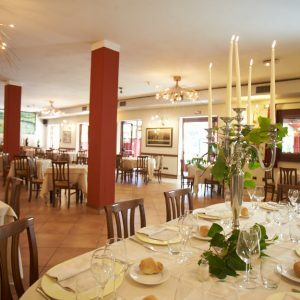 Resta aggiornato su offerte ed eventi del gruppo RP Hotels!